It doesn’t get more romantic than saying your ‘I do’s’ in this quaint wedding chapel in Marbella. You have announced your engagement, you are now planning the wedding of your dreams but you have a dilemma; you and your fiancé have always dreamed of an exotic destination wedding, but you also love the idea of walking down a traditional church aisle. 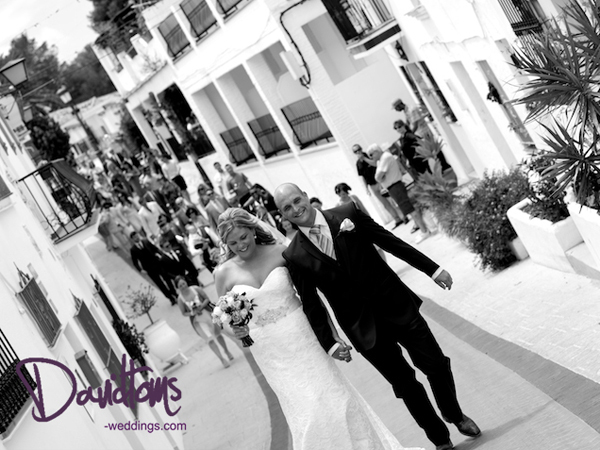 Well, Sunshine Weddings Spain may just have the perfect solution for you. 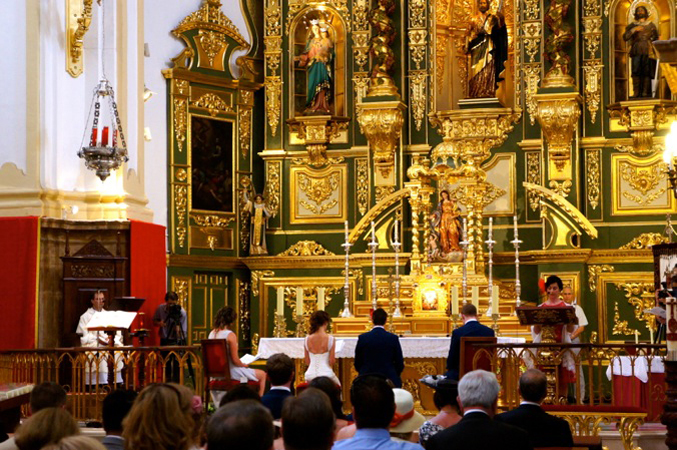 We can help you combine both by booking a traditional chapel in the fairy-tale location of Marbella. Isolated from the rumbustious atmosphere of the Marbella town centre lies a traditional ´Pueblo Andaluz’, which exudes bygone charm. The village is situated only 10 minutes by foot from the Avenida Ricardo Soriano (main Marbella high street) yet once you enter it feels as though it’s in a little bubble of its own. Private cobblestone pathways and squares are lined with beautifully styled Andalusian village houses, creating a tranquil oasis. Archways are covered in colourful bougainvillea and fragrant jasmine flowers envelope you in scent on spring and summer evenings. Around every corner is a new courtyard and fountain to discover. Nestled amid the maze of cobbled streets sits the charming, hacienda-style chapel which seats up to 35 guests and many more can be accommodated in the standing balcony. Boasting wooden pews and a traditional altar, this chapel is pure storybook romance. After the ceremony the cobblestone streets and colourful houses make the perfect backdrop for photographs. To keep guests entertained a drinks reception with traditional tapas can be arranged at the enchanting restaurant located within the pueblo. We are also able to arrange small or large coaches to transport the wedding party and guests to the reception.